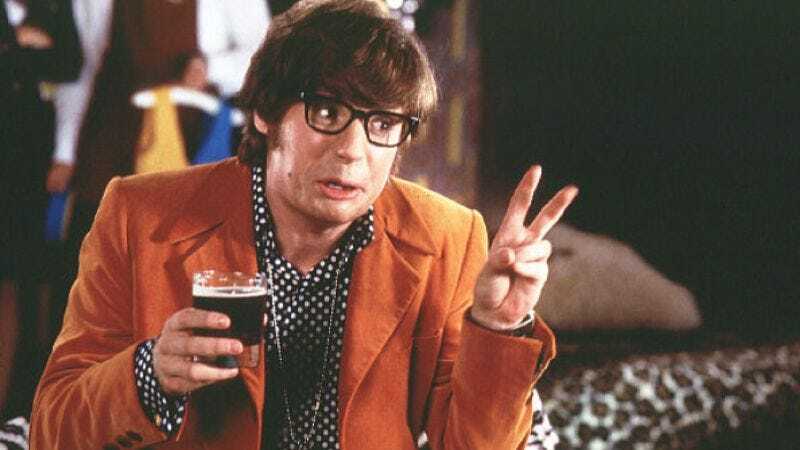 Rumors surfaced, again, this past summer that Myers had signed a deal to develop a fourth Austin Powers film that he is supposedly currently writing, though there hasn’t been any further Austin Powers-related news since then that didn’t involve horrific acts of sexual abuse and/or murder. Supposedly Myers will be writing this musical concurrently, should the deal go through to have Austin Powers officially join all the other film-to-stage adaptations of late—including, again, The Goonies, Big Fish, Newsies, the Kevin Kline comedy Dave, Rocky, Ghost, a new version of Carrie, Once, Predator, Moon Over Parador, the Brian “Boz” Bosworth actioner Stone Cold, Jack And Jill, etc., only some of which we totally made up. “Oh behave,” New York Times theater critic Ben Brantley wrote sarcastically in a blank Word document, then set it aside to fill in later.